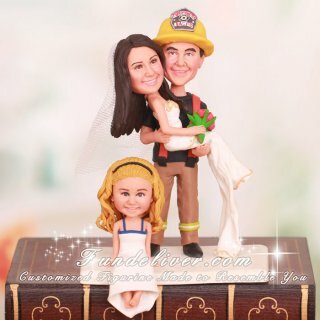 This is a completely customized firefighter wedding cake topper with sitting girl dangling off of side of cake ordered by one of our customers. 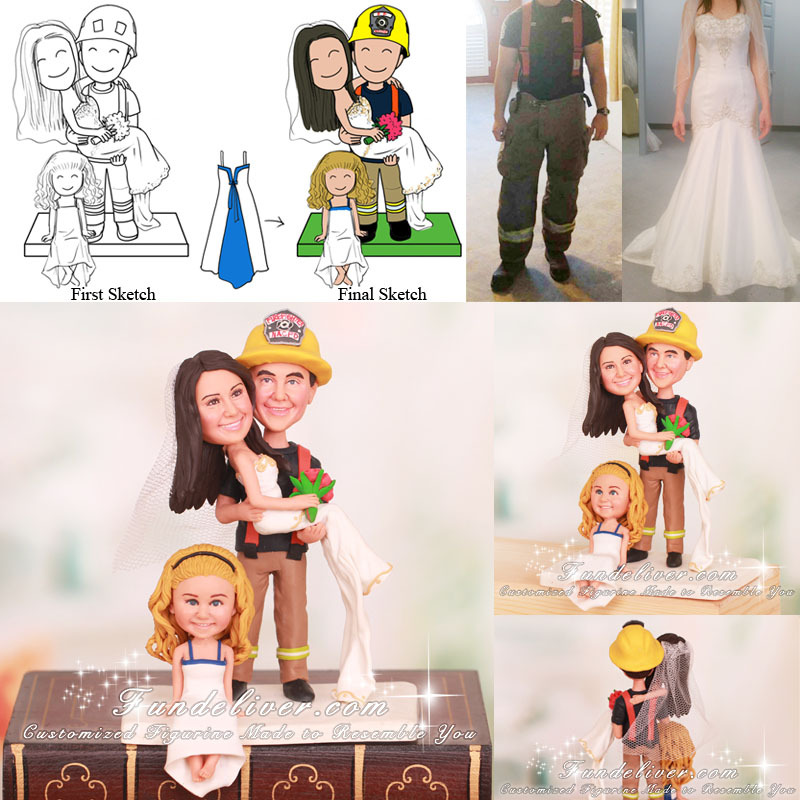 They would like the groom to be in his firefighter helmet and firefighter uniform, holding the bride in his arms, standing on a rectangle base. The bride is wearing her white wedding dress, holding a bouquet of flowers. Also they would like their daughter to be sitting at their feet with legs dangling off of side of cake.